Copyright Notice: © 2018 Viacom International Inc. All Rights Reserved. These are the official Dora licensed characters, Dora. 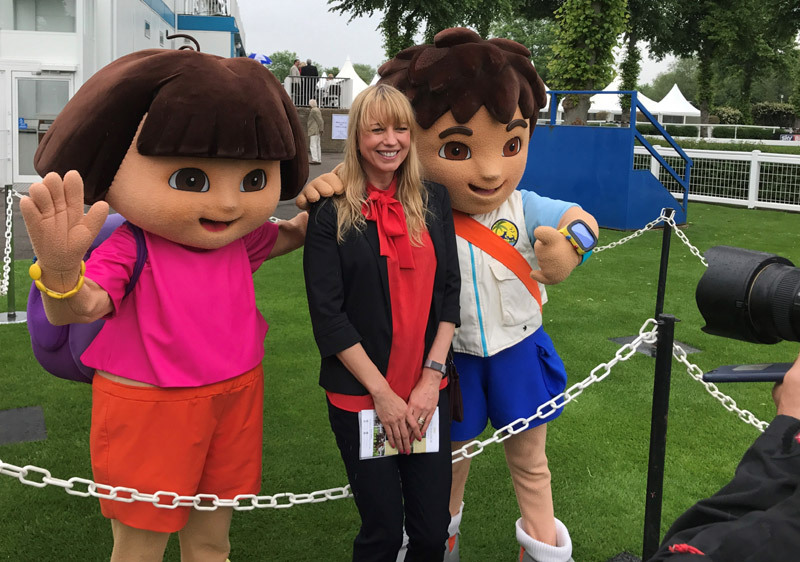 Rainbow Productions holds the UK’s official licence to manage the personal appearances of Dora at public events on behalf of the brand owner. 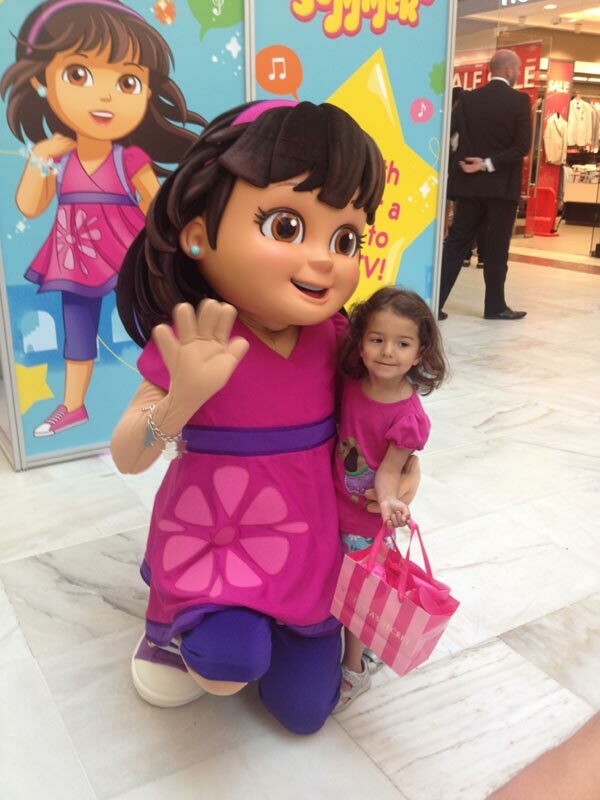 Dora from Dora & Friends: Dora has grown up and moved to a new city. She has started a new school, made a group of new friends and every day is still an adventure. Portals in the city transport Dora and her friends to magical worlds, where they have to face obstacles and criminals sent to test them. Dora’s magical charm bracelet, her trusted Map App, strength and problem-solving skills help her and her friends save the day. Dora is always ready for action and adventure and is a keen musician, athlete and student. Dora the Explorer: Dora is a true heroine – an Indiana Jones for the preschool set. She is a born explorer and is always eager for the next adventure. Dora is seven and her best friend, Boots. Dora embodies the Latina spirit by taking pride in being bilingual, respecting her elders, her growing understanding of her culture and heritage, and her love for storytelling and music. The new Dora & Friends series continues to actively engage pre-schoolers by inviting them to play-along and help save the day, solve problems, speak Spanish and give back to the community. 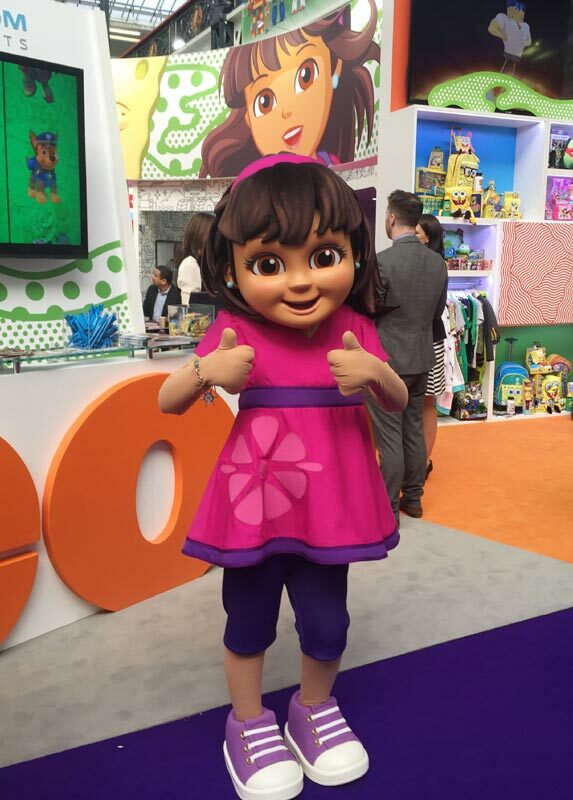 Mascot costumes Dora from Dora & Friends and Dora the Explorer are available to attend UK events.